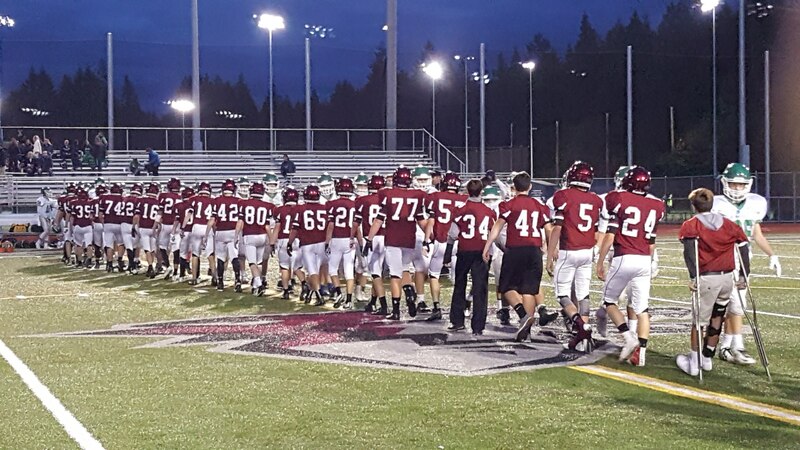 The Eastlake Wolves freshman team fell to Woodinville Wednesday night 38-28. The wolves moved the ball well behind throws by quarterback Grady Robison to receivers Ryan Curran and Ryan Cole and strong running by Garrett Carney. 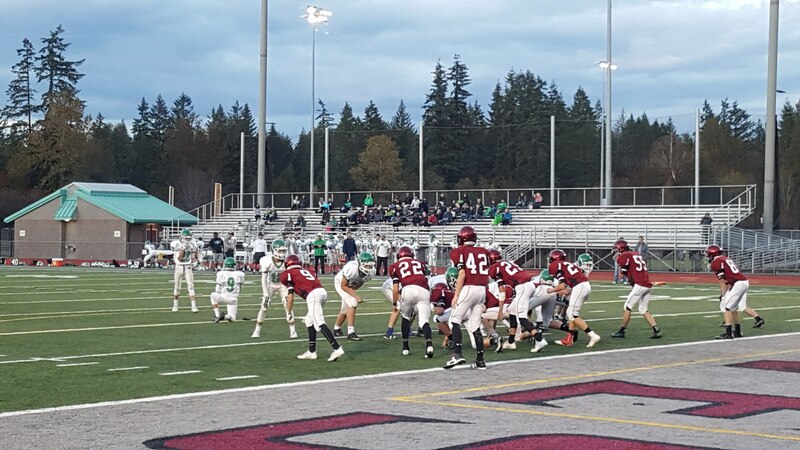 However, a few timely turnovers by the Wolves and a strong Woodinville field goal kicker enabled Woodinville to put up a big lead at the of the first half capping it off with a 42yd field goal with 9 seconds left in the first half after a turnover by Eastlake. The Wolves fought back in the second half with tough defense lead by cornerback Trent Green, defensive linemen Jason Bryant, Jake O’Donnell, and Slater Howd, and linebacker Carney. On offense the Wolves moved the ball well against Woodinville with Robison connecting with Curran and Cole and the offensive line providing holes to enable Eastlake to pick up good running yardage. Eastlake came within 3 points of Woodinville with less than 2 minutes left in the game to m ake the score 31-28. Curran made every PAT with good snaps by Ryan Knapick. Unfortunately, there was not enough time for the Eastlake momentum to overtake Woodinville. Eastlake, with no timeouts, attempted an onside kick with seconds left in the game but Woodinville recovered and ran out the clock before breaking a last second touchdown run to make the final 38-28.